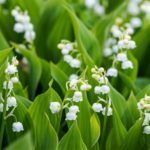 Is lily of the valley invasive? Lily of the valley (Convallaria majalis) is a perennial plant that grows from stem-like underground rhizomes that spread horizontally, often with amazing speed. It also reproduces from seeds. Exactly how invasive is lily of the valley anyway? Should I Plant Lily of the Valley? 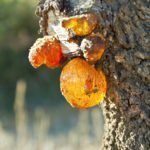 The plant has escaped cultivation and has been placed on invasive plant lists in some states, primarily for its tendency to form large colonies that threaten native plants. It is especially happy in shady, wooded areas and doesn’t always do well in poor, dry soil or intense sunlight. In less suitable areas, it may not be invasive in the strictest sense of the word, but lily of the valley certainly has aggressive tendencies that may prompt you to think twice before planting this lovely, innocent-looking little plant. If you have a tidy, well-ordered garden, you may want to pass on lily of the valley and choose a more well-behaved plant. If, on the other hand, you have plenty of space for the plant to spread, you may get along just fine. After all, the plant provides lovely springtime color, along with a powerful fragrance that you may either love or hate. The blooms are short-lived, but the clusters of grassy, sword-shaped leaves make an attractive groundcover. Just don’t expect the clumps to remain within the boundaries of a flower bed or border. Once established, lily of the valley is an unstoppable force to be reckoned with. Even if you plant lily of the valley in a contained area, the rhizomes are likely to tunnel under and make a break for freedom. While there are no guarantees with control of this plant, the following tips may help you reign in lily of the valley’s rampant growth. Dig the rhizomes with a shovel or spade. Sift the soil carefully with your hands, as even a tiny piece of rhizome will generate a new plant and eventually, a new colony. If possible, cover the area with cardboard to block growth of any new rhizomes. Leave the cover in place for at least six months. Cover the area with mulch if you want to camouflage the cardboard. Mow the plants frequently to prevent development of seeds. This is a good way to deal with lily of the valley in your lawn. As a last resort, spray the plants with a product containing glyphosate. Keep in mind the chemical will kill any plant it touches. Additionally, you could consider growing the plant in containers. Note: All parts of lily of the valley are toxic and may irritate the skin. Always wear gloves when handling the rhizomes – or any part of the plant.